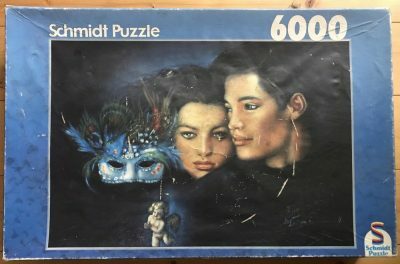 This is an interesting and rare puzzle by Schmidt. The title is The Kiss, by Josephine Wall. 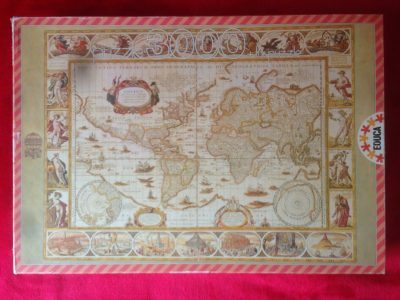 The puzzle is COMPLETE, as you can see in the photographs of the complete puzzle. 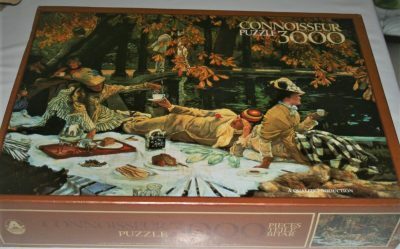 The pieces and the box are in excellent condition. The pieces come in 4 separate bags. That means that you can assemble the puzzle in sections if you prefer. 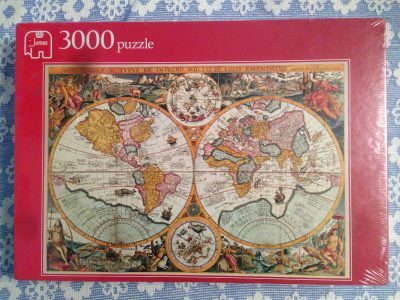 Puzzle size: 117.5 x 83.7 cm. Box size: 37 x 27 x 8.2 cm.